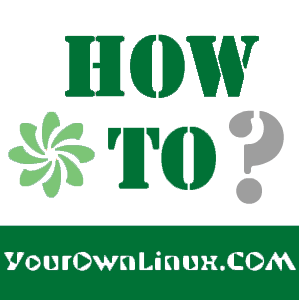 How To : Change the Default GRUB Boot Entry Using Command Line in Ubuntu/Linux Mint ~ Your Own Linux..! GRUB is an acronym of GRand Unified Bootloader and it is a Multi-boot loader package developed by GNU to support multiple operating systems. Whenever there are more than one operating systems installed on a system, GRUB would ask the user to select any one among them during boot-up process. One can delete or modify the boot entries, change the boot times and configure GRUB dynamically. In this article, we would see how to change the default GRUB boot entry using CLI. Step 1: In order to change default boot entry, we need to edit /etc/default/grub file. Before that, lets take a back up for the said file so that if anything goes wrong, we can easily revert back to the previous state. Step 2: Edit the file /etc/default/grub using your favorite text editor. Step 3: Find a line which says GRUB_DEFAULT=0. All the entries in the GRUB menu are zero-indexed. This means, if there are 'N' entries in the GRUB menu, the very first entry is indexed as 0 (Zero) and the last one is indexed as 'N-1'. Step 4: Now, our aim is to make 'Windows 7', which is listed at 5th position and hence having index 4, as the default boot entry. So, edit the same line to that it reads as GRUB_DEFAULT=4. Note: This method will not change the order of the entries in the GRUB menu, but it would certainly boot the selected operating system. Credits: Santosh Patil, IIT Bombay.